Showing 1 - 20 of 194 results. 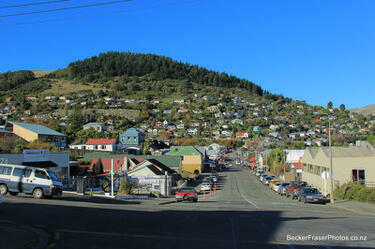 Photograph captioned by BeckerFraserPhotos, "London Street, Lyttelton". 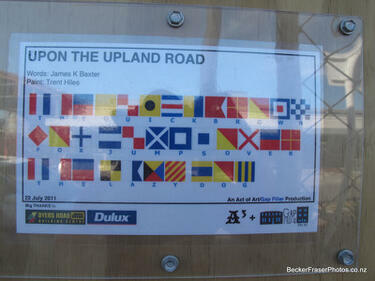 Photograph captioned by BeckerFraserPhotos, "44A London Street, Lyttelton". 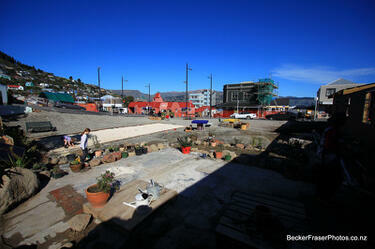 Photograph captioned by BeckerFraserPhotos, "The cleared site of Ground, corner on London and Canterbury Streets, Lyttelton. 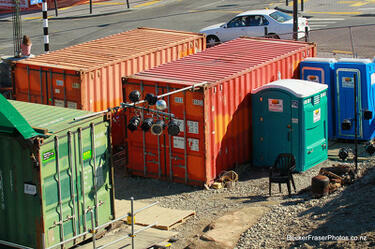 A rest area and garden sales have developed here". 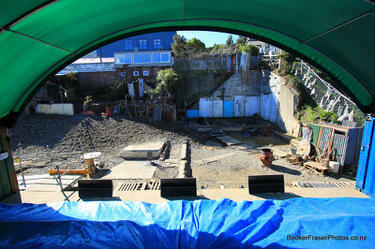 Photograph captioned by BeckerFraserPhotos, "Looking out onto the 'stage' of the makeshift theatre in London Street, Lyttelton". 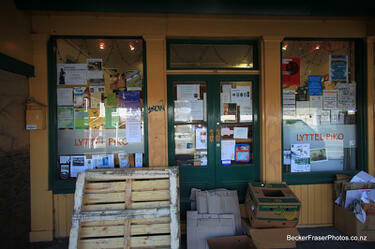 Photograph captioned by BeckerFraserPhotos, "Notices on the door of 32 London Street, Lyttelton". 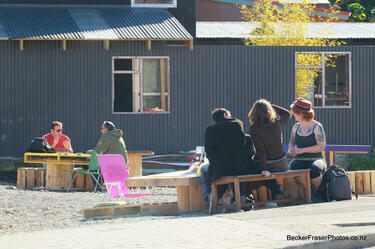 Photograph captioned by BeckerFraserPhotos, "Part of the makeshift theatre on the site of the demolished Volcano Cafe in London Street, Lyttelton". Photograph captioned by BeckerFraserPhotos, "The Richmond Club building with protective coverings on the corner of Stanmore Road and London Street. 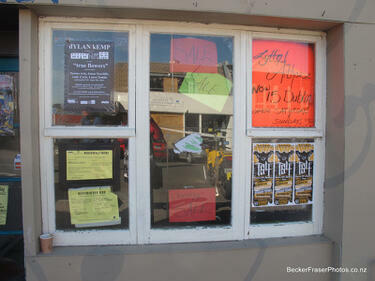 The Club is still open in another building further along the street". 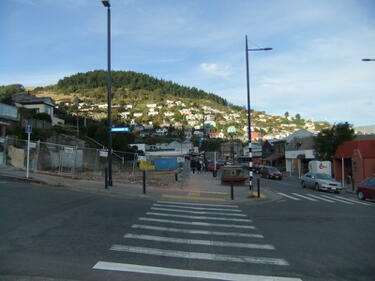 A view looking north along London Street of buildings in Lyttelton. 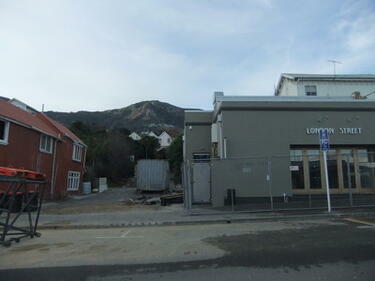 A photograph of the site of the demolished No 6 Cafe on London Street in Lyttelton. A photograph looking east down London Street from the north-west corner of the London and Canterbury Street intersection. 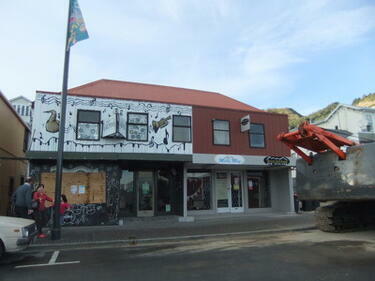 The Volcano Cafe, Lava Bar, and Lyttelton Fisheries have been demolished on the left side of the street, leaving vacant sites. 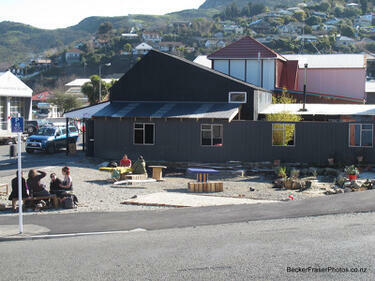 A photograph of Satchmo's Cafe, Milly May, and Snoclothes New Zealand, on London Street in Lyttelton. 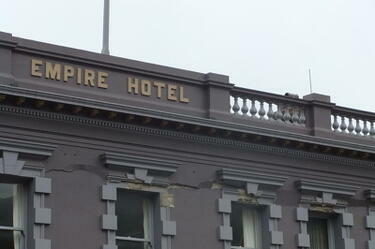 A photograph of the earthquake damage to the Empire Hotel on London Street in Lyttelton. 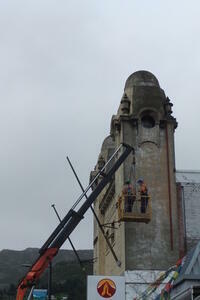 A photograph of two workers in a crane-raised platform next to the Harbourlight Theatre on London Street in Lyttelton. 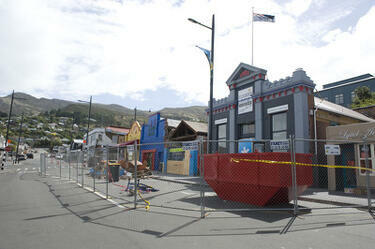 A photograph of a cordon made out of temporary plastic fencing outside the Empire Hotel on London Street in Lyttelton. 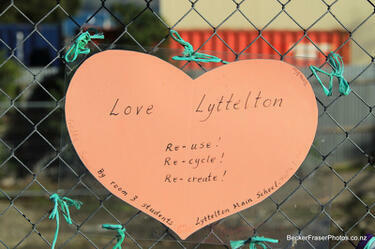 A photograph captioned by BeckerFraserPhotos, "Decorations made by the Lyttelton children on the fence of the site of the demolished Empire Hotel, London Street". 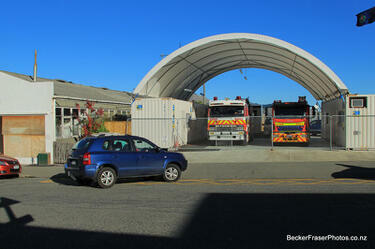 Two fire engines parked in the temporary Lyttelton fire station on London Street. The Ground Culinary Centre on the corner of London and Canterbury Streets. One of the side walls has crumbled, bricks lying on the footpath where they fell. Tape and cones have been used to create a cordon around the building. 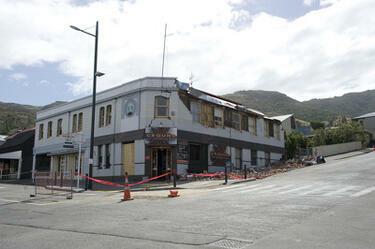 Damage to buildings along London Street in Lyttelton. 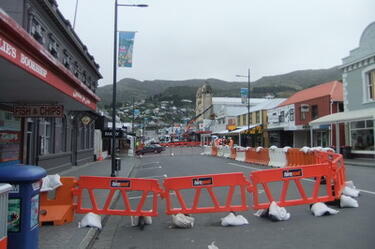 Wire fencing has been used to cordon off the entire north side of the street.